A new Conference Board of Canada study says there’s no housing bubble about to burst and maintains Canadian are having no trouble handling their debt even as it sits close to record levels. 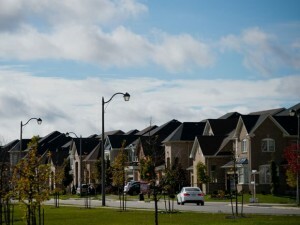 The Ottawa-based group points out that mortgage arrears are actually going down in just about every market across the country — making a U.S.-style meltdown unlikely. The percentage of mortgages in arrears is well under 1% in Canada. “A relatively low proportion of arrears is likely to persist, since national employment is growing, albeit slowly, and interest rates are not forecast to spike,” says the Conference Board in its report titled Bubble Fears Overblown. The report says the market will cool but it will happen “gently” and cites mortgage costs, not just home prices, as the principal determining factor for the market for future buyers. “We believe that the more prudent mortgage underwriting in Canada than in the United States, headlined by the very small number of subprime loans here, has prevented the stockpiling of high-risk mortgages by lenders,” states the report. Others argue the Canadian market bears striking similarity to the U.S. market. Much has been made of Canada’s tighter loan standards with none of the NINJA loans — no income, no job, no appraisal — that were found in the U.S. Still, Canadians are holding onto records amount of debt. Statistics Canada said debt to disposal income went down slightly during the fourth quarter of 2013 but at 164% it remains very close to an all-time high. With little demand from new buyers, prices would ultimately sink and leave people vulnerable as they try to renew mortgages. The Conference Board notes that many U.S. states have non-recourse home loans, meaning banks cannot go after other assets from consumers who walk away from homes. That protection doesn’t exist in most Canadian markets. Mr. Madani said that would be a non-factor for recent buyers who have few other assets and no reason to stay with a mortgage that is under water. “That’s what is called a strategic default,” says the economist, noting many consumers in that scenario would be willing to face the credit challenges that come post-bankruptcy if their home price collapses. Vince Gaetano, a mortgage broker with monstermortgage.ca, says all the mortgage rule changes that have come from Ottawa for anyone buying a home with mortgage default insurance have made it tougher to buy in this market. Still, the tougher mortgage rules, which have included shrinking amortization lengths from as long as 40 years down to a maximum of 25 years, have had an impact on the consumer. Benjamin Tal, deputy chief economist with Canadian Imperial Bank of Commerce, said all the mortgage changes amount to a 125 basis point increase in rates for first-time buyers. A shorter amortization payment means a higher monthly payment while decreasing size of a loan for consumers.